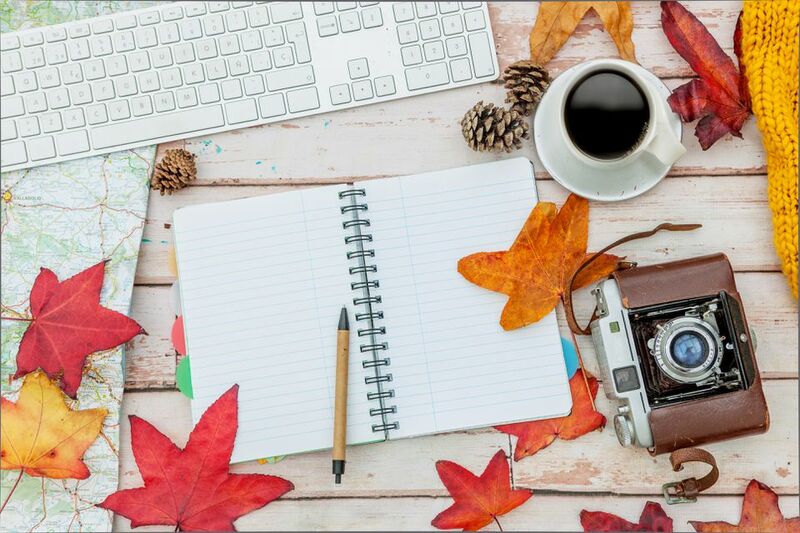 Fall leaves clip art can add some seasonal charm to any printed or online item that you're creating. These fall leaves clip art images are completely free to download and use on your personal projects. These collections of fall leaves art feature photos as well as illustrations of leaves of all colors from a variety of different trees. Looking for more than just fall leaves clip art? There are images available of other familiar fall objects such as pumpkins, scarecrows, apples, and more. You may also find the perfect art for your project in a collection of fall coloring pages. OpenClipArt has five pages with image after image of autumn and fall leaves. They come in all different colors are on their own, on trees, on the ground, or paired with other fall images. Click on the image you'd like to download and choose the size of the image you'd like. They're available to download as a PNG, Word file, or PDF. Clipart Panda has 70+ images of fall clip art that are completely free for you to download. Besides standard clip art, you'll also find a lot of fall leaf borders here that may be perfect for the project you're working on. Click on the thumbnail of the image you like and then use the "Download" button to save it. They're in a variety of image files and you can view the size before downloading. There are more than 25 free fall leaves clip art images here that include fall leaves on their own, on trees, and paired with other fall images. These are huge images that you can download in a variety of file types. You can get a full-sized image of the fall leaves clip art by clicking on the thumbnail and using their download button. Clker has a huge collection of over 100 free fall leaves clip art that has a few other images mixed in. To get the largest image of fall leaves clip art, click on the thumbnail, then "Download," and then choose "Large." There are quite a few free fall clip art images here that feature leaves in all different colors and in borders, wreaths, and piles. There are also a few fall leaves here that you can print and color. The kids would love these! Some of the leaves are all on their own and you can download them in your choice of color. Simply right-click on the image you'd like to get and save it to your computer. Designs by Miss Mandee has created some lovely fall leave clip art that features 8 different types of fall leaves. There are lots of other fall freebies here including more clip art, banners, printables, and tons of other downloads. All the fall leaf clip art here is in PNG file format and are black and white, making them great for just about any project. 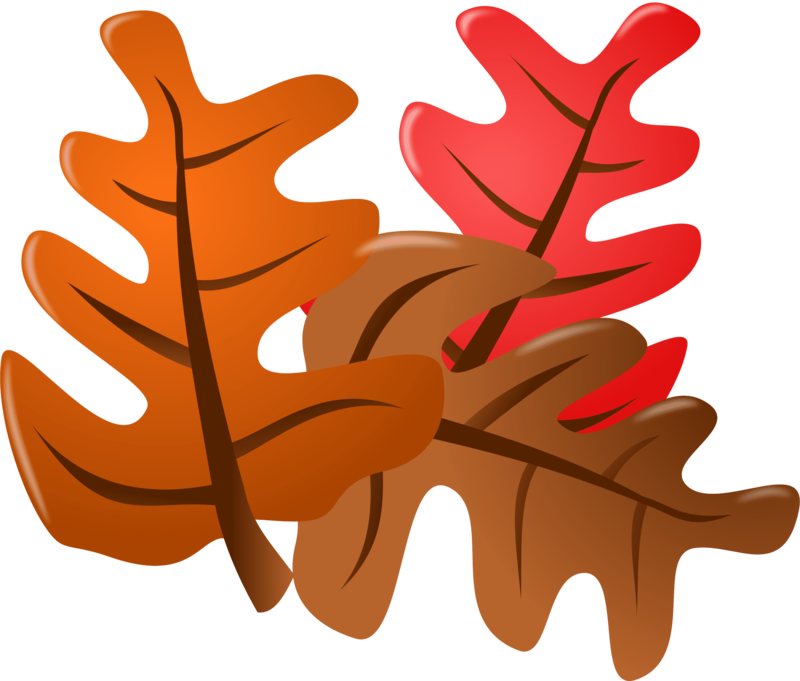 Clip Art Queen has 40+ free clip art of fall leaves including real photos of leaves as well as some beautifully drawn ones. These leaves come in red, yellow, brown, green, and every shade in between. These are all clear, large clip art images that you can download as a free .PNG file using the "Download" button underneath the image.